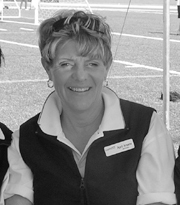 April Arsene is a long-time and tireless contributor to the ongoing success of the Valley Royals Track & Field Club, and her impact on the sport community goes far beyond the local club level. Drawing on her experience as a chief organizer of countless BC Track and Field Championships, Arsene served as meet director for the 2007 and 2008 Canadian Junior Track and Field Championships hosted in Abbotsford. She also acted as sport lead for Athletics in the 2006 BC Summer Games, and as head of medical at the 1995 Western Canada Summer Games in Abbotsford. An accomplished official of her sport, Arsene has attained her Level 4 in track and field, officiating at a national level. In this capacity, she is in high demand to officiate at track and field meets, cross-country meets and road races throughout BC and Canada. 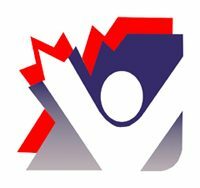 Arsene has acted as treasurer for the local club for over 20 years, and has assisted in attracting major athletics events to the community. In 2006, she was awarded the Ian McNeil Award by BC Athletics Association for her outstanding contributions to the sport of Athletics.